When it comes to burgers, we like to consider ourselves connoisseurs (after all, we’ve eaten enough of them over the years). From posh patties at Michelin-star restaurants to dirty burgers at cheese dripping down your chin, hands-dirty kinda joints; we reckon we’ve tried ‘em all. And in Singapore, there are a ton of places serving up juicy buns brimming with the finest beef patties, pulled-pork, and crispy chicken. We’ve taken it upon ourselves to round up some of our favourites; enjoy working your way through this lot (you might want to renew that gym membership). The BB bacon cheeseburger with fries is seriously good and the patty is the star of the show. 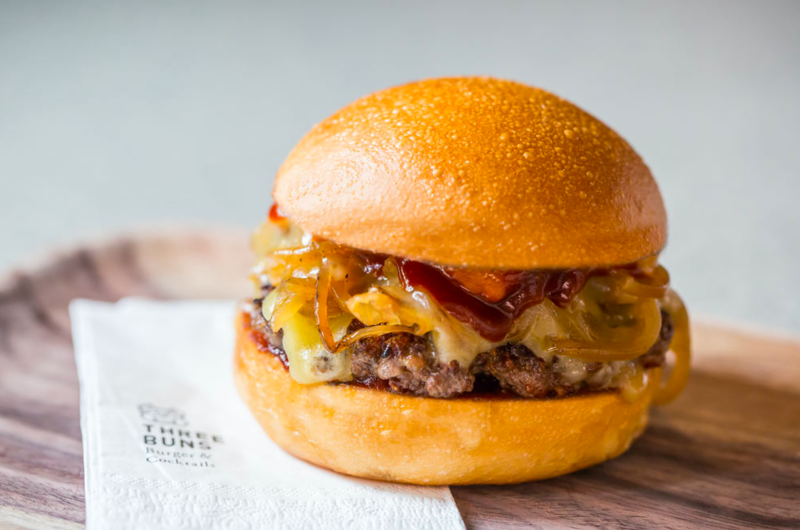 We’re not sure how Butcher Boy manages it, but all the meat we’ve scoffed here – burger included – is meltingly tender and loaded with umami-esque flavour. Pull up a pew at the bar and indulge at lunch; it’s worth every calorie. We’re longtime fans of Luke’s; great food, great ambience, great service – what’s not to love? And the burger here makes us heart it even more. Yes, it’s $32, but this is Luke’s and it is divine. Homemade buns, monster juicy patty cooked to the perfect pink, and a myriad of accompaniments (like cheese, bacon, egg, or all three) to pimp it up make this the ultimate guilty pleasure. And we love the lack of pretension that allows us to snarf it down with our hands without being scoffed at. 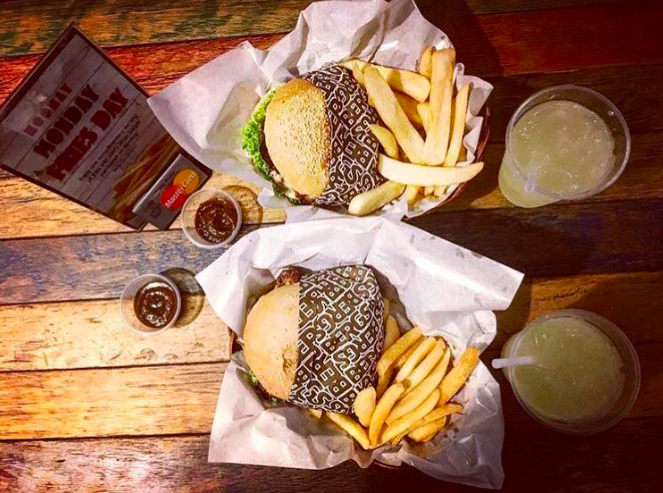 A PH burger accompanied by a side of naughty fries is one of the main reasons our editor claims she can’t ever leave Singapore. With a whopping 11 burgers to decide between, from the classic Baby Huey (150g Black Angus beef patty, cheese, ketchup, pickles & spiced mayo in a toasted demi brioche bun) to the more unique Watermelon Man (150g Black Angus beef patty, caramelised watermelon, quader de cavra cheese, ketchup, pickled onions & three islands mayo, in a toasted brioche bun), you’re bound to find something that appeals. Our top pick? The Burning Man; 150g Black Angus beef patty, smoked applewood cheddar, roasted jalapeño relish, hot ketchup and dashi mayo on a toasted wholemeal bun. Drooling. Much. When it comes to American southern-style BBQ, Smokey’s is where it’s at. Though we usually come here to feast on ribs, pulled pork, and chicken wings, we’ve recently strayed into burger territory, and we’re glad we did; they are top! With six to choose from (we’re fans of the black and blue) and all created using prime US beef, these fellas have that BBQ flavour firmly imbibed and are always cooked medium unless you call it otherwise. The rest of the construction is kept simple; a sesame bun, the usual lettuce, tomato, red onion triumvirate, plus a dill pickle. Throw in hand-cut fries for a mere $1.50. Don’t mind if we do. One for the purists who like a classic burger and fries, done well. Expect the usual burger flavour combos (hamburger, cheeseburger, double cheeseburger, bacon burger… we could go on, you get the gist), no-frills fries, and shakes (grab a beer from the bar area if you want to add booze into the equation). It’s the perfect pit stop en route home after a few too many wines on Club Street. 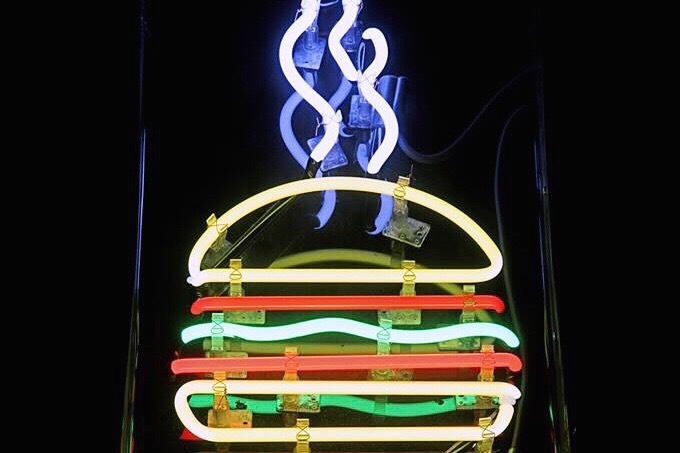 Located within Hotel G on Middle Road, this is our go-to burger joint when it’s 2 am and you need a good feed. We love that you can build your own burger choosing from a massive selection of extras, sauces, and cheese, and that curly fries are on the menu (they just taste better that way, dontcha think?). 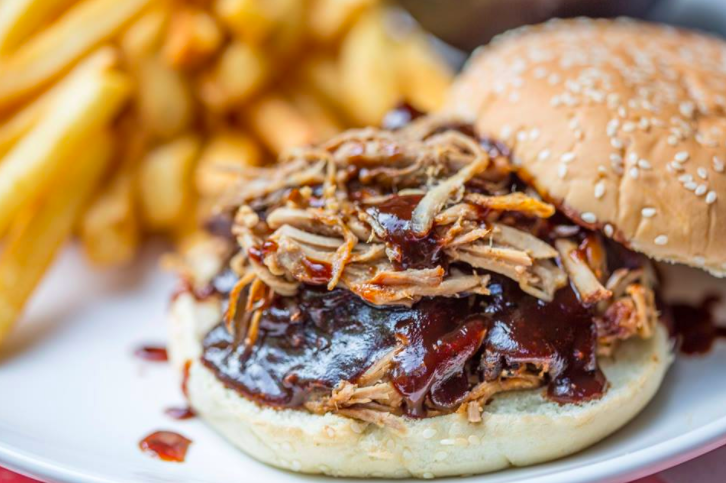 The Burnt Ends Sanger is a masterclass in pulled-pork burgers. Think soft brioche bun, crunchy coleslaw, tender pulled pork, and a couple of jalapenos to spice things up. We can overlook the irritation of not being able to make a dinner reservation post-6pm when this thing is waiting on the other side. 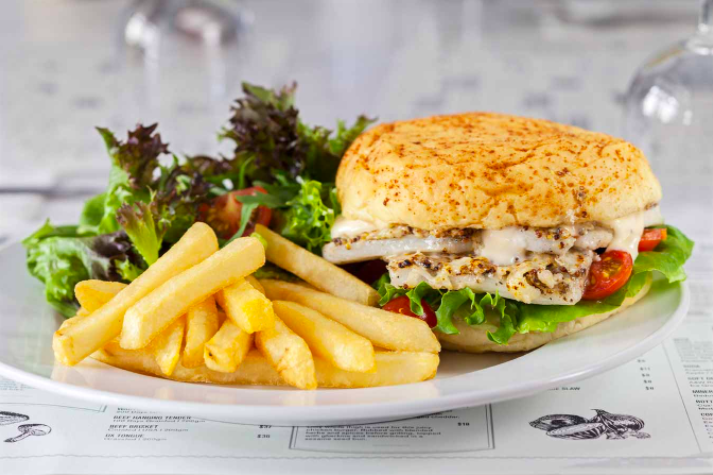 We love the no-nonsense, hearty menu at Market Grill and rate the lobsters, steaks, and – of course – the burgers. Standard burgers are made with Angus chuck, though for an extra $10 you can make it Wagyu. The BBQ burger is our weapon of choice and comes with a 150g patty, homemade BBQ sauce, bacon, melted cheddar, lettuce, and gherkins in a sesame bun. And the bar seating makes it perfectly acceptable to grab a burger if you’re dining solo on the fly. If you need a burger fix at lunchtime, head to Bergs and order the Miss Piggy; a prime beef patty, streaky bacon, lettuce, tomato, red onion, cheddar cheese, aioli, and Bergs sauce. We wouldn’t necessarily head here for dinner, but at lunch, it’s top and the perfect antidote to a heavy night. We know what you’re thinking: “28 HK Street? Eh?”. Bear with us. 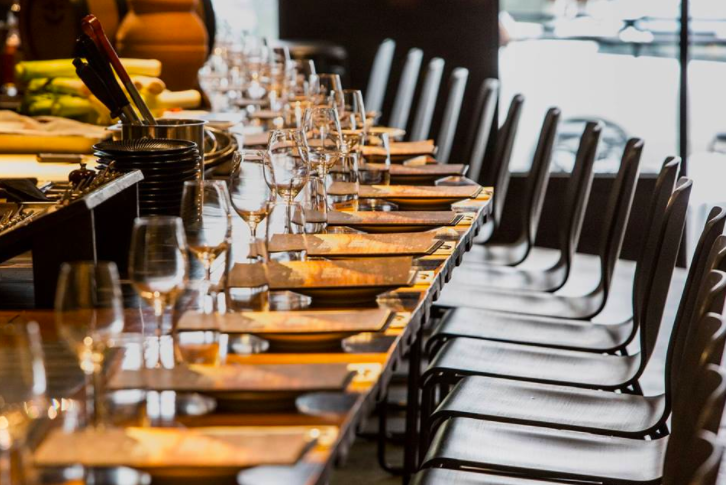 Renowned for its spiffy cocktails and perennial presence on the world and Asia’s best bar lists, this might be the last place you’d expect to chow down on a decent slab of beef. Now we ain’t gonna lie, we’re always a tad tipsy during our frequent visits, so the bar snack menu is a tad blurry; we can’t recall what the burger is called exactly, but there definitely is one, and it’s definitely marvellous. Particularly as a chaser to any of the potent potions you’ll no doubt be necking. It’s the perfect booze soaker-upper (alongside the mac and cheese balls, obvs). 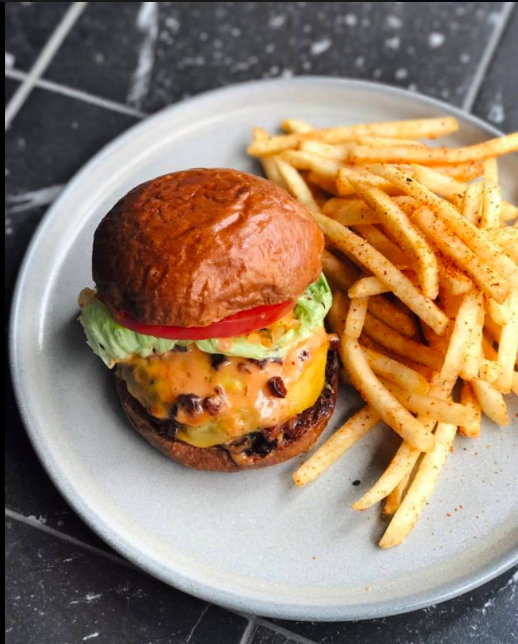 Omakase Burger is Singapore’s very own homegrown burger brand which brings you an American burger experience and features handmade USDA Choice grade beef patties. 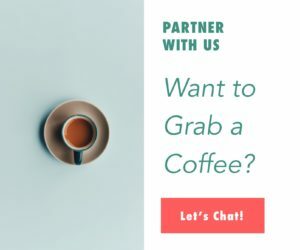 Menu options include quarter pound burgers, chicken burgers and veggie burgers and whatever you do be sure to add in Chilli Cheese Fries on the side. 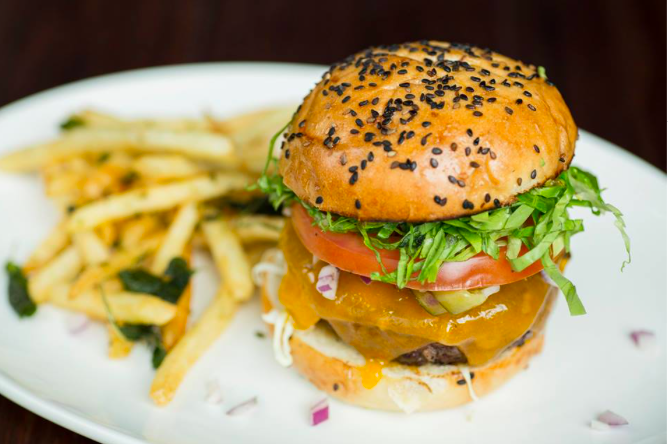 The American cheese and Omakase sauce make this burger extra special, so be sure to ask for some extra.